Once you number is assigned to your Apptimo account it is ready to receive your faxes. 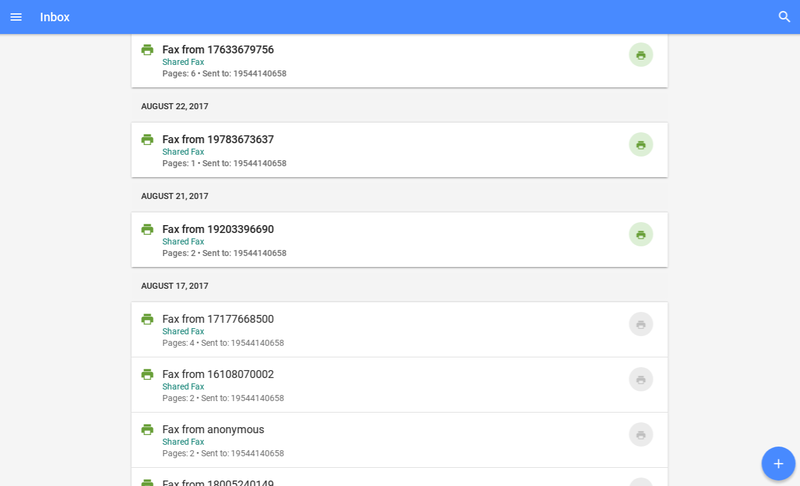 When a fax is sent to the number it will show up directly in your Inbox as a note with a PDF attachment containing the fax, as well as the originating fax number it was sent from. The fax document can be viewed, printed, shared, and you can as well add your comments. Once a fax is viewed, the green icon indicating non-viewed faxes, will change to a grey color. Faxes are kept stored, and you can delete them if you need so. As Activity for Apptimo lets you manage groups of people you collaborate and share information, you can use the feature to setup a default group assigned to the fax number. Then, all people in the group will have the received faxes showing in their Inbox. Talk about convenience. Fax for Apptimo is private, secure and confidential. It fixes one the problems that are typical in many offices: unauthorized people prying on the faxes received in the physical fax machine. With Fax for Apptimo, only you or the people intended to view the received faxes will have access to them. You can receive your faxes directly in your Inbox, wherever you are, working or traveling. It allows multiple uses, making an ideal solution for personal, business and professional use. It is a non-stop service that works 24-hours per day, 365-days per year, with no interruption. Does not requiere a dedicated phone line or a physical fax machine. Therefore, no hassles. It’s completely escalable to any size business and can easily accommodate to different work scenarios. It’s easy-to-use, efficient, improves your productivity and reduces your workload. It’s private, secure and confidential. No paper or toner is wasted. It’s ecological, convenient, elegant and simple. If you frequently receive and manage faxes, then Fax for Apptimo is the way to go.